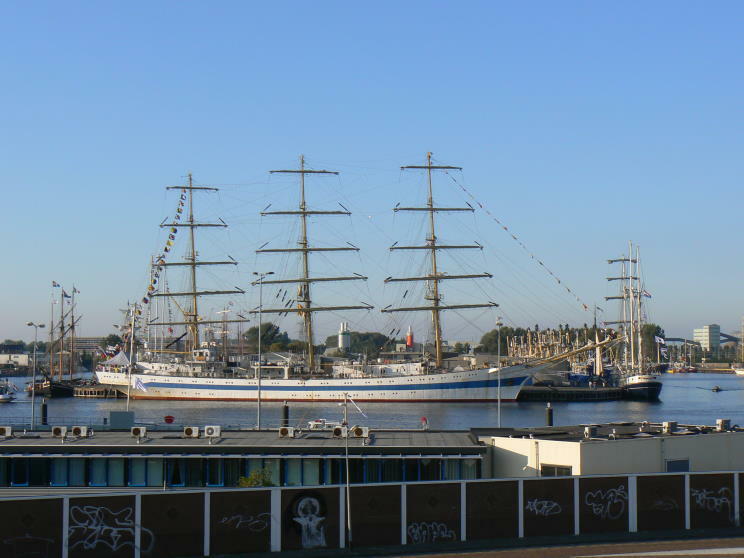 August 25, 2007: Mir seen at Vlissingen, Netherlands. 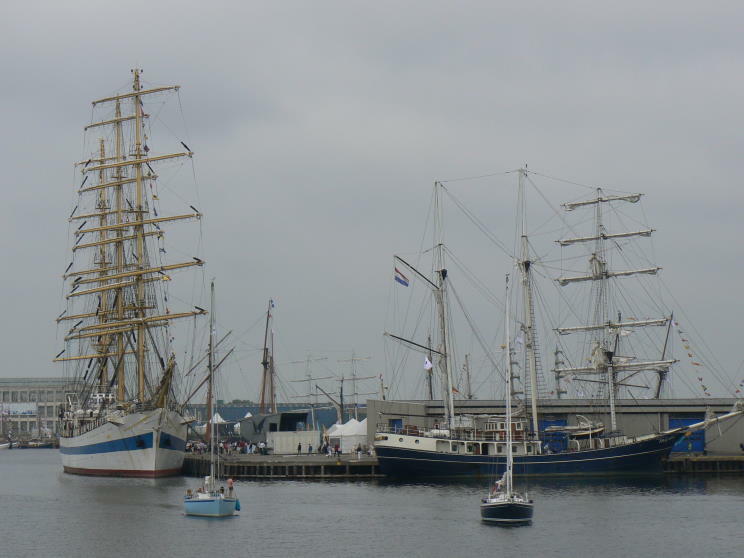 The sailing yacht Thalassa is seen at right. 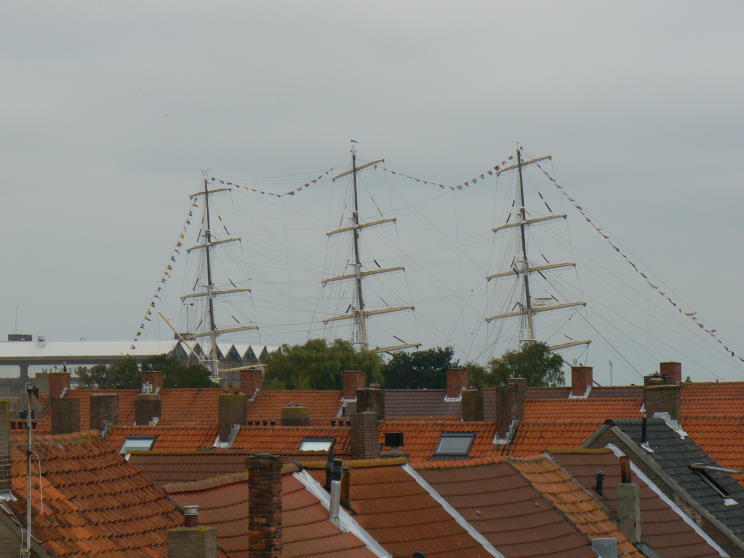 August 25, 2007: The masts of Mir standing high above the rooftops of Vlissingen, Netherlands. 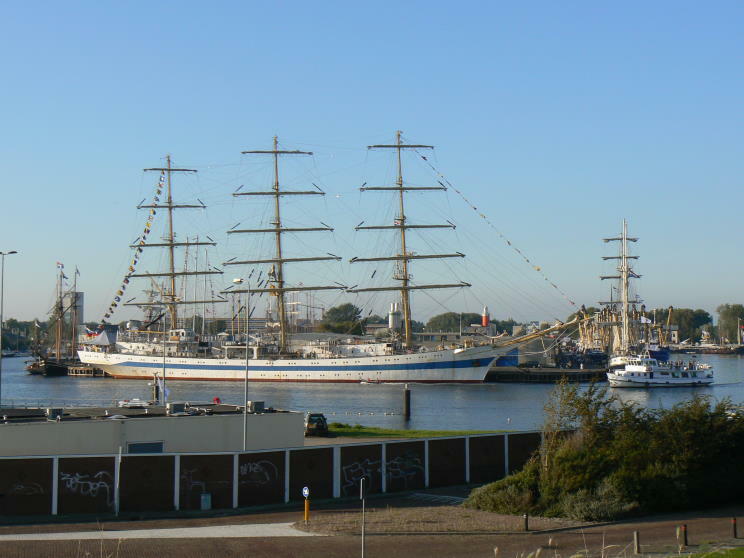 August 25, 2007: Mir seen at Vlissingen, Netherlands. 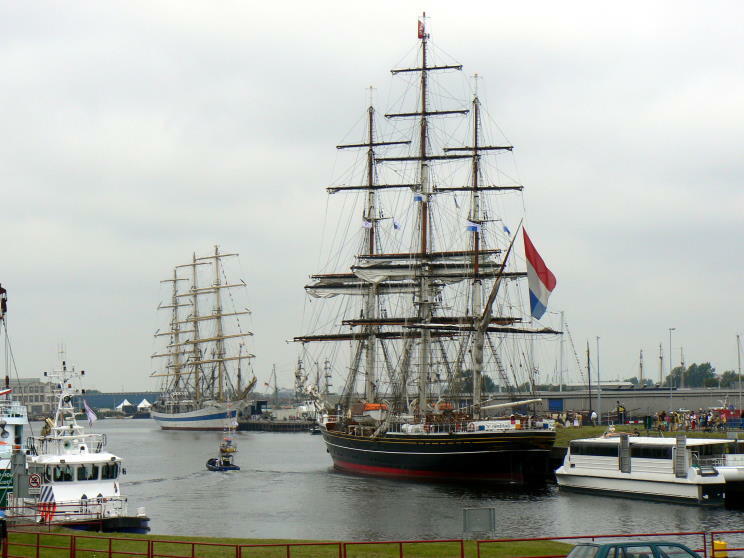 The Stad Amsterdam is seen in the foreground. 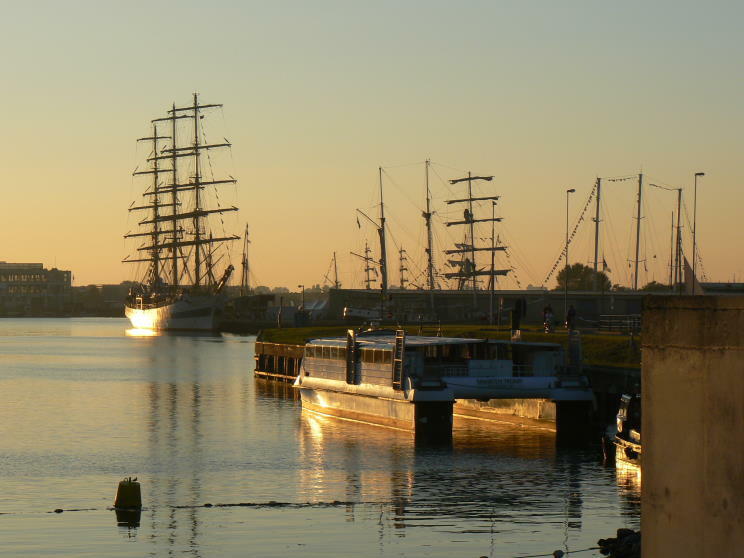 August 25, 2007: Mir seen at Vlissingen, Netherlands at sunset.